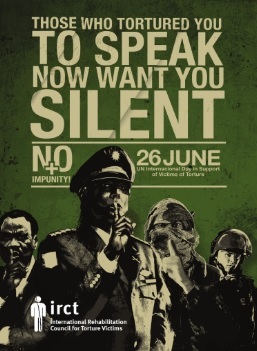 With not an inconsiderable amount of fanfare June 2016 marked the 10th anniversary of the entry into force of the Optional Protocol to the UN Convention against Torture. Since then, further states have ratified this key international instrument, bringing the current total to 88 States Parties and 14 Signatories. On May 2, 2016, the Minister of Foreign Affairs stated that the Optional Protocol “will no longer be optional for Canada in the future”, and that Canada would begin a process to join it. The accession process will involve extensive consultations with other interested federal departments; the provinces and territories; Indigenous governments that may be implicated; and civil society. The Minister of Foreign Affairs is confident that once the necessary steps have been taken and all voices have been heard, Canada will be in a position to accede to the Optional Protocol. To date, national discussions on how Canada might implement the OPCAT have yet to progress far. This lack of progress is unquestionably disappointing, especially in view of the fact that there have been repeated past political efforts to consider the country’s ratification of OPCAT. A primary motivating reason for the creation of the Canada OPCAT Project website was, quite simply, the unexpected dearth of information in the public domain about the practical consequences of Canada’s stated intent to ratify the OPCAT. Having actively participated in national OPCAT discussion processes in several dozen countries in the Eurasia region over a period of more than a decade, the main initiator of this website was surprised somewhat by the absence of comparable information about any OPCAT ratification/implementation process in Canada. Prison Bound by Thomas Hawk (2013). If you doubt this claim, please try undertaking a Google or DuckDuckGo Internet search of the term ‘OPCAT Canada’ and see how surprisingly little detailed information you uncover. In this same connection it certainly merits underscoring the key guidance of the UN Subcommittee on Prevention of Torture (SPT), the international body of experts which forms part of the OPCAT system, namely that the “… NPM should be identified by an open, transparent and inclusive process which involves a wide range of stakeholders, including civil society.” Quite clearly, this national OPCAT discussion process has yet to occur in Canada. And close liaison with the UN SPT and other key international actors. In order to ensure that key SPT guidance is met, namely that the process is open, transparent and inclusive, civil society has frequently been involved in such activities from the outset as well as for the duration of the process. In a word, NPM models should not be unilaterally imposed on actors by the governing authorities at the domestic level, but should be the outcome of a national process of discussion which enjoys legitimacy. As noted on this website’s homepage, as long ago as 2006 Canada used the pledge of OPCAT ratification during its candidacy for the UN Human Rights Council, a pledge unfulfilled to the present day. United Nations in Geneva by Roger Smith (2014). Fast-forwarding to the present day, Canada’s seventh periodic report was considered by the UN Committee against Torture in Geneva on 21-22 November 2018. In the run-up to the review six civil society organizations urged Canada to ratify the OPCAT, as highlighted in these pages. Moreover, during the examination Canada’s intentions in relation to the OPCAT were deeply probed by the UN Committee. During the exchange with the UN Committee against Torture, Global Affairs Canada formally acknowledged civil society’s concerns about the lack of transparency of the OPCAT consultation process. The Deputy Director of Global Affairs Canada’s Human Rights & Indigenous Affairs Policy Division, Stéphanie Bachand, publicly stated that her agency was henceforth committed to a transparent process. Civil society and Indigenous groups would be consulted, it was observed, as soon as the federal, provincial and territorial government consultation process had been completed. The Canada OPCAT Project made a public statement about this admission. Regrettably, Canada declined to provide a fixed time-frame for the completion of the overall process. When asked by the UN Committee’s Co-rapporteur on Canada, Bakhtiyar Tuzmukhamedov, for a reasonably detailed time-frame for the conclusion of the overall OPCAT consultation process, Global Affairs Canada declined to commit to a specific date. Conversely, Stéphanie Bachand underpinned the complicated nature of the OPCAT ratification process for Canada as a federal state. The UN Committee against Torture’s Concluding observations on Canada were published at the close of its 65th session on 7 December 2018. The Canada OPCAT Project published several news items in this connection, including vis-à-vis the recommendation to expedite the OPCAT ratification process as well as to ensure oversight of immigration and psychiatric detention. Please visit these pages for a more detailed discussion on the outcome of the review of Canada. Until recently, the national OPCAT consultation process, as limited as it may have been, was being coordinated domestically by the Department of Justice. Recently, however, the Canada OPCAT Project learned that Canada’s Department of Global Affairs now seems to be taking the lead on the issue, despite the instrument’s very significant domestic component (please also see below). Firstly, the issue of potential accession to the OPCAT was discussed at a federal, provincial and territorial ministerial human rights meeting in Gatineau, Québec in mid-December 2017. The Parliamentary Secretary to the Minister of Foreign Affairs gave a summary of the instrument, after which all provincial and territorial ministerial representatives indicated their support for the continued consideration of whether to accede to the OPCAT. It should be noted that no mention was made in the letter of any other discussions with other key actors, as advised by the UN Subcommittee. Such actors would include the country’s numerous ombudspersons offices, human rights commissions, specialized detention oversight bodies as well as, crucially, Canadian civil society. We also learned that the Department of Justice has undertaken and completed its own legal analysis into potential accession to the OPCAT, although, regrettably, much of the related paragraph was redacted. Moreover, as far as we are aware, Justice Canada’s report has not yet been made public. Justice Canada does therefore not appear to be taking the lead on any future national discussions on OPCAT. Instead, Global Affairs Canada has been bequeathed this mandate for the purposes of “…more detailed policy work”. While it is not clear what such detailed policy work will entail, it remains to be seen if Global Affairs Canada is able to expedite the national OPCAT debate in the country. Unfortunately, by the end of August 2018 after the passing of the additional 60-day time-frame a response had yet to be elicited from Justice Canada. A final response was elicited from Justice Canada on 29 October 2018, which provided the Canada OPCAT Project with a highly truncated and redacted copy of its OPCAT legal analysis. Of this 281 page-report some 240 pages were withheld, while a further 41 released pages were significantly redacted, offering limited insights into the on-going ratification process in the country. The Canada OPCAT Project released a critical statement about this response. Nonetheless, on the basis of certain information contained in the response to the ATIP request, it could be deduced that Justice Canada appears to have developed at least one vision of how the OPCAT might be implemented in the country. The possible future NPM model was discussed in detail on this website in November 2018. Key released documents also highlighted the process of consultation which Justice Canada has hitherto undertaken on OPCAT implementation with different provinces and territories as well as with Canadian civil society. Through a series of access to information requests filed with selected provinces and territories the Canada OPCAT Project learned more about the scope of the aforementioned consultation process in January 2019. In September 2016 Justice Canada had written to the provinces and territories, asking them a series of OPCAT-related questions. Through access to information requests filed in early December 2018, more detailed information was obtained about the nature of these questions as well as the responses of the provinces and territories, which can be accessed here. Despite this apparent lack of progress, the following key points should also be borne in mind in the Canadian context. Regrettably, the global implementation of OPCAT domestically has been a mixed picture. While on one hand, 68 States Parties have instituted NPMs, on the other, a significant minority of OPCAT States Parties have failed to do so. Moreover, among those states which have done so, there remain significant concerns about the functioning of the instituted NPMs. These NPM-related concerns can generally be categorized as structural and operational in nature. Structural shortcomings include: inadequate NPM resources; the absence of a clear legal basis; the lack of independence (both legal and functional); and the homogenous professional and social composition of NPM staff. Operational shortcomings include: an incapacity to ensure the coverage of all detention settings; an inability to reconcile the competing functions of complaints-handling and torture prevention; the non-publication of annual and other reports and inadequate follow-up to their recommendations; and inadequate coordination in multi-body NPM structures. In summary, despite the growing number of States Parties to the OPCAT (some 88 countries), its implementation domestically has often been haphazard, sometimes worse. Ideally, Canada should avoid sub-standard national implementation at all costs. In addition to Amnesty International Canada, the Canadian Civil Liberties Association has also urged Canada to ratify the instrument, advocating that the country do so before various UN treaty bodies in 2012 and 2015. ACAT Canada has also been active before the UN, urging Canada to ratify the OPCAT during the country’s Universal Periodic Review in Spring 2018. The organization organized a campaign to this same end in 2017. Similarly, the Canadian Centre for Victims of Torture has called on the Canadian federal, provincial and territorial governments to support ratification (see page 26). It was notable that in the run-up to the UN Committee against Torture’s examination of Canada’s seventh periodic report in Geneva, Switzerland in late November 2018 several Canadian NGOs submitted shadow-reports, urging Canada to ratify the OPCAT. These organizations included ACAT Canada, Amnesty International Canada, Canadian Human Rights Commission, Canada OPCAT Project and International Human Rights Monitoring Group. These same concerns were also voiced verbally during a civil society-government exchange on the then up-coming examination held in Ottawa on 17 October 2018 (as highlighted on this website). The Geneva-based Association for the Prevention of Torture similarly issued its shadow report on this issue. In meeting the terms of the treaty, there are considerable advantages in the federal government establishing a new single National Prevention Mechanism (NPM) for places of detention under federal authority (penitentiaries, immigration detention centres, RCMP cells, Canadian Forces Service Prison and Detention Barracks). The designated NPM could serve as a centre of national expertise and assistance for the provinces and territories as Canada moves toward full ratification of the treaty. The French version of this Annual Report 2016-2017 presents this same quotation on page 71. While there is no doubt that implementing OP-CAT would require each level of government to make legislative amendments as well as changes to the mandates of existing bodies, I am of the view that the necessary legal and policy work should not delay Canada signing onto the treaty. Even after signing, Canada would still have two years to ratify and bring domestic practice and law into compliance with OP-CAT obligations. Signing would send the right message and would keep the federal/provincial/territorial consultative process on a defined timetable toward Canadian accession and eventual ratification. Other federated states, with equally complex jurisdictional issues, have ratified OP-CAT, including Argentina, Germany, and, most recently, Australia. Complexity is not an excuse for delays or not doing the right thing. Please see page 98 of the French version of the report for this same quotation. Under the Optional Protocol, governments must establish an independent body to conduct inspections of all places of detention. States Parties also agree to give the United Nations Subcommittee on the Prevention of Torture access to detention sites in order to conduct international inspections. Currently there are no independent bodies dedicated to perform this function. While acknowledging the existence of different oversight bodies in the province of Ontario, he concluded: “All of these bodies play key roles in oversight and accountability. None, however, possess both the resources and mandate to conduct regular independent and detailed compliance audits of correctional facilities.” In his final recommendations Howard Sapers concluded: “I recommend that the Government of Ontario establish an independent Corrections Inspectorate to enhance oversight and accountability and to support Canada’s anticipated ratification of the Optional Protocol to the Convention Against Torture” (see page 107). In the French version of this report, L’isolement en Ontario Examen indépendant des services correctionnels de l’Ontario, the above quotations can be found on pages 98-99 and 121-122. In an article from 11 January 2019 the Correctional Investigator once again called on Canada to sign the OPCAT as a first step towards the ratification of the instrument. He also advanced his vision of a possible NPM. The full article is available in English and French. The primary aim of the Canada OPCAT Project is to harvest as much information as possible about the on-going steps to implement the OPCAT in Canada and place such information in the public domain (where it reasonably belongs). In February 2019, for example, the Canada OPCAT Project published a major discussion paper highlighting its view of a future Canadian NPM titled Instituting a National Preventive Mechanism in Canada – Lessons Based on Global OPCAT Implementation. A secondary aim is to corral in one domain as much relevant information as possible about available OPCAT related resources. 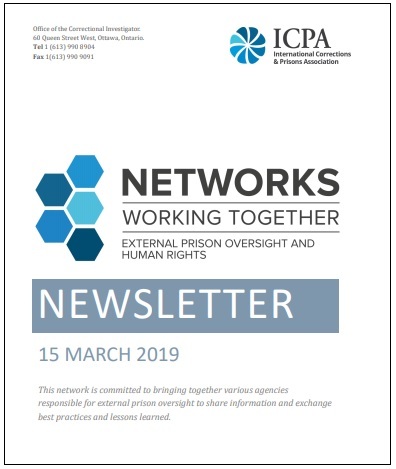 Publications and tools about the putting in place of NPMs as well as about detention monitoring and torture prevention more generally will be presented in the website’s ever lengthening and thickening pages. Yet this project relies on your inputs. Thus, please do get in touch if you have any relevant information or other insights on the OPCAT in the Canadian context. You can also directly upload documents here. Alternatively, if you have any suggestions of materials we should feature on this site, please do drop us a line – we would be very happy to hear from you. Please feel free to write to us in French or English. If you know of any Canadian Government communications on the OPCAT, which we should seek out through an Access to Information Act request, please let us know. Interesting documents can also be directly uploaded to the website. It goes without saying that we will always respect the confidentiality of your communications with us as well as your anonymity. The Canada OPCAT Project has been in touch with the UN Subcommittee on Prevention of Torture with a view to informing its secretariat and members of our work. The Project also submitted a short shadow report to the UN Committee against Torture in the run-up to Canada’s November 2018 examination by the UN Committee in Geneva and issued various updates about the review (please see under News). The Concluding Observations of Canada’s examination were also discussed in different articles. Finally, in the mid-term the Canada OPCAT Project aims to publish more longer, slightly more academic discussion papers on the OPCAT and Canada, similar to its February 2019 discussion paper Instituting a National Preventive Mechanism in Canada – Lessons Based on Global OPCAT Implementation. It is also in the throes of undertaking a mapping-exercise (the basis of which can be found in the above report) of the magnitude and diversity of places of detention distributed across the vast territory of Canada, the results of which will be published in a graphic form in these pages. In a word, thank you for visiting this website and please come back soon for more OPCAT updates. Committee against Torture, Consideration of reports submitted by States parties under article 19 of the Convention Sixth periodic reports of States parties due in 2008: Canada (UN doc. CAT/C/CAN/6, 22 June 2011) §10. Committee against Torture, Concluding observations – Canada (UN doc. CAT/C/CAN/CO/6, 25 June 2012, 25 June 2012) §25. Committee against Torture, Seventh periodic reports of States parties due in 2016: Canada (UN Doc. CAT/C/CAN/7, 13 September 2016) §5.